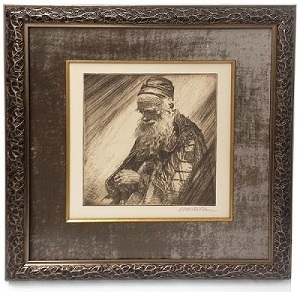 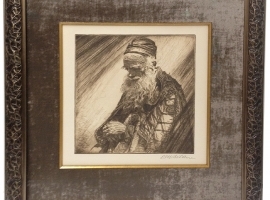 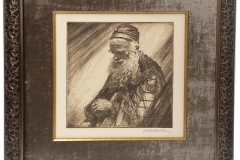 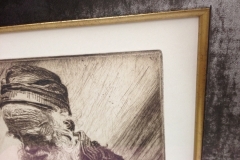 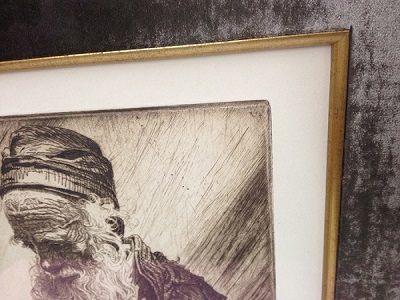 This exquisite etching was framed with an equally exceptional frame. 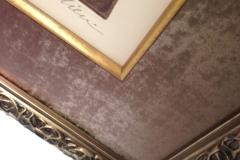 The mat was custom made using velvet, and fitted with a gold fillet. 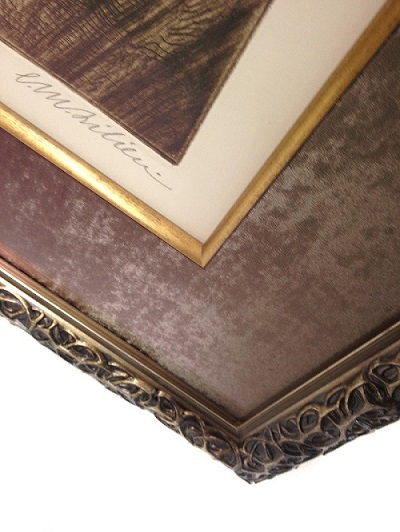 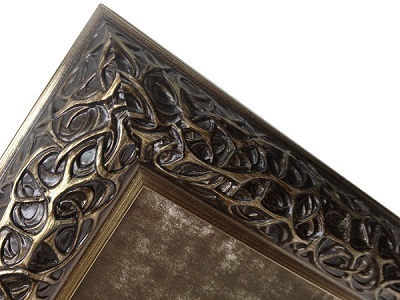 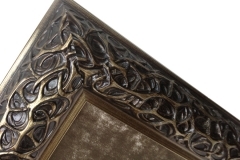 The intricately laced grooves of the frame accentuate the skilled draftsmanship of the etched lines.